On October 23rd, 2015, the NGO Committee on Spirituality, Values, and Global Concerns-NY (CSVGC-NY) hosted the 9th Annual “Spirit of the United Nations” Awarding Ceremony at the UN Church Center. 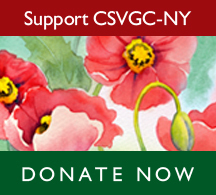 Every year, the CSVGC-NY honors outstanding individuals who have demonstrated the vision and spirit of the United Nations as expressed through the UN Charter, and the Universal Declaration of Human Rights. This year, distinguished awardees included: H.E. Mrs. Edita Hrdá (Diplomat Award), Dr. Azza Karam (UN System Award), Ms. Lois A. Herman (NGO Award), and Mr. Juan Chebly, and Mr. Austin Schiano (Youth Awards). Emcee Mr. Richard Jordan, NGO Representative of RASIT, opened the ceremonies, recollecting the great individuals that make up the United Nations, and called upon Msgr. Joseph Grech, First Secretary of the Observer Mission of the Holy See, to give a universal invocation and blessings on the proceedings. In honor of the “Spirit of the UN”, Ms. Yilan Shao, Shanghai pianist, began the program with a Minuet and piece from Chopin. The New Voices Middle School Choir of Brooklyn elevated the spirit further with their dynamic rendition of “Yonder Come Day”. Remarks continued with CSVGC-NY Chairwoman Genie Kagawa, who spoke about this year’s “Spirit of the UN” Awarding theme of Human Dignity for All and the Road to a Spiritual Renaissance. She emphasized the greater appreciation and understanding of the role of spirituality in world affairs in the wake of the many crises the world is facing today. Mr. Cyril Ritchie, President of CoNGO talked about the role of CoNGO in honoring the 70th Anniversary and its relevance to the world of NGOS and civil society in supporting their moral and ethical power in addressing complex issues at the U.N. with diverse advocacies and grassroots cooperation. Mr. Ritchie noted that civil society had been deeply involved in the formation of the transformative agenda of the SDGs. H.E. Mr. Mamadou Tangara, Ambassador and Permanent Representative of Gambia to the United Nations, congratulated the NGO Committee on Spirituality, Values and Global Concerns and pointed out that God is the center of all that we do, and that we must leave something for posterity by planting seeds of life for the people who come after us. All religions preach peace, which is only possible through understanding and love, and above all, the love for God, who gave us the most beautiful gift of life. Ms. Audrey Kitagawa, Chair Emeritus of CSVGC-NY, eloquently recounted the spiritual history of the United Nations, beginning with its Founding. She emphasized the beautiful words of the Preamble of the United Nations, based on universal, spiritual principles. Despite the global challenges and polarization in the world, she asked each and every person to tap into our deep resources to find solution to the challenges. Thus, it is incumbent in our role as global citizens to become expressions of the sacred divine will and be a shining light of inspiration to the lives of those we touch. The speakers made note of how world conflicts are often thought of as solely economic or political crises. However, the spiritual plays an important role. While we have made much progress, most agreed that there was still a long, but rewarding, road ahead. The first distinguished awardee, representing the Diplomatic Community, was H.E. Ms. Edita Hrdá, Ambassador and Permanent Representative of the Czech Republic to the U.N. In her acceptance speech, H.E. Ms. Hrdá acknowledged the growing role of spiritual and holistic considerations in the discussion of world conflict. She pointed to the newly passed Sustainable Development Goals (SDGs) as a mechanism by which universal concerns can continue to be weaved into our thinking about world problems. In addition, she recounted about the role that the Mission of the Czech Republic played in the preservation of human dignity and human rights. Dr. Azza Karam, Senior Adviser at the United Nations Population Fund and Coordinator of the UN Inter-Agency Task Force for Religion and Development received the Spirit of the UN Award representing the UN System. Dr. Karam, using her expertise on the subject, discussed the important role that spirituality plays in many longstanding conflicts in the Arab World. 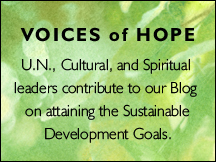 Behind the political strife, there is an underlying spiritual connection that drives us toward peace, she said, and we must harness that for the hope of a better world for future generations. As representative of the NGO Community to receive the Spirit of the UN Award was Ms. Lois A. Herman, Founder and Coordinator of the Women’s UN Report Network. Ms. Herman recounted and celebrated the many achievements and progress of women’s issues at the UN, and WUNRN’s often-essential role in making so much of that change possible. She saw a deeper consciousness about equality and rights as an essential part of the fight for women’s rights, and noted the role of the CSVGC-NY and spirituality in general in accelerating that progress. The elegance and nobility of the event was further accentuated by an extraordinary flute and harp musical presentation beautifully executed by Mrs. Sato Moughlian and Karen Lindquist, and later the powerful voice of world-renowned tenor Mr. Juan del Bosco, singing an Italian opera piece. The awarding continued as Mr. Juan Chebly, the Lead Adviser to the United Nations Environment Programme Secretariat of Governing Bodies, New York Office on Civil Engagement, received the Spirit of the UN Youth Award. Mr. Chebly humbly accepted the award and noted how UNEP, and the environmental cause in general, drew heavily from spiritual roots. He noted that humankind’s relationship with our environment extends beyond politics or civilization, and we must never forget this integral part of our lives and identities. The final Spirit of the UN awardee was Mr. Austin Schiano, the World We Want 2015 Coordination Associate for the United Nations Millennium Campaign, also representing the Youth Sector. Mr. Schiano re-iterated how his work with the World We Want helped him to see which major types of issues were of significance to the younger population. With this information, he said, we can identify what people hold dearest and cater our message to invest in them for the cause. A special cake-cutting celebration, led by Ambassador Anwarul K. Chowdhury, Former Under-Secretary-General and High Representative of the UN, supported by the distinguishes awardees, members of the CSVGC-NY Executive Council and honored guests, honored the 70th Anniversary of the United Nations. The cake, topped with the Norman Rockwell “Do Unto Other’s” mosaic, reminded us of the universality and spiritual roots of the U.N., and the significance and the profound meaning of the Founding of the United Nations.